Employers in the United States will need 8.8 million individuals working in project management-oriented roles by 2027. Intensive two-day workshop prepares students to earn credentials, which are among the most industry-recognized certifications for project managers. 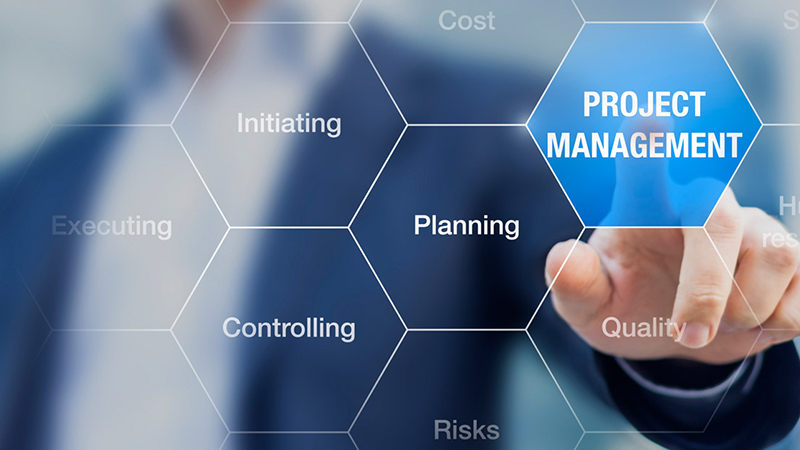 In response to this demand, the University of Delaware’s Division of Professional and Continuing Studies (UD PCS) is offering a Project Management Certificate program in Wilmington, beginning Sept. 12, and Newark, beginning Sept. 18. Providing hands-on experience with practical tools, including the use of software, risk assessment and team techniques that support effective project management, the certificate program can also be a starting place to fulfill the requirement of project management education hours for the Project Management Professional (PMP®) designation from the Project Management Institute (PMI®). Along with potentially being the first step toward a PMI certification, the certificate is designed to help students understand the roles and functions of the project manager, including planning and managing projects using tools such as Work Breakdown Structures, Gantt charts and PERT charts, and managing their time, budgets and project teams more effectively. Students learn to apply the tools immediately by completing a project plan and budget as part of the course of study. In addition, students can meet the education requirements for a PMI credential and earn Professional Development Units (PDUs) for recertification through the Project Management Institute. Project managers can come from virtually any educational or experience background. Some of the top industries hiring project managers include engineering and construction, healthcare, financial services, law and technology. For experienced project managers and students who have completed UD’s Project Management Certificate or a project management foundation course elsewhere, UD offers Project Management Exam Prep: PMP/CAPM. The Project Management Institute’s Project Management Professional and Certified Associate in Project Management credentials are among the most recognized certifications for project managers. Presented in partnership with the Project Management Institute Delaware Valley Chapter, the intensive two-day workshop runs over two consecutive Saturdays, Jan. 26 and Feb. 2, from 8:30 a.m. to 4:30 p.m. in Newark. Potential discounts are available for early registration, UD alumni, groups of two or more from the same organization, those who have earned UD’s Project Management Certificate and members of the PMI-DVC. To register, or for more information, visit pcs.udel.edu/project for the Project Management Certificate program and pcs.udel.edu/project-exam-prep for Project Management Exam Prep: PMP/CAPM, email continuing-ed@udel.edu, or call 302-831-7600.